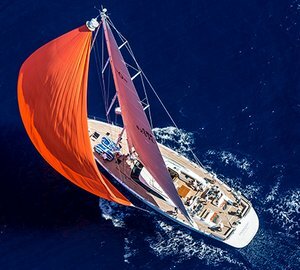 Contact the CharterWorld Team here if you are interested in chartering a sailing superyacht for the Superyacht Cup race. The Superyacht Cup in Palma, Mallorca (Balearic Islands), in the Mediterranean Sea is no ordinary racing regatta. Starting a fleet of 20 to 30 superyachts for one race is an amazing spectacle and an exciting moment for the sailors and owners. 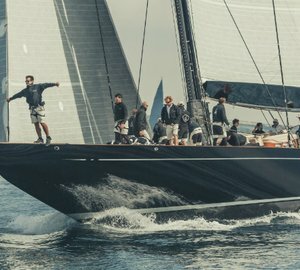 The superyacht cup has been running for over a decade, making it the oldest and most significant luxury sailing yacht event. The informal atmosphere mixed with the impressive entry list of yachts, has made this trophy grow in popularity year by year. A truly international yacht race, the yachts, their owners and crew come from every corner of the world. The Superyacht Cup Palma has the perfect combination of professionally managed yacht racing and a relaxed, informal social programme enjoyed by everyone. 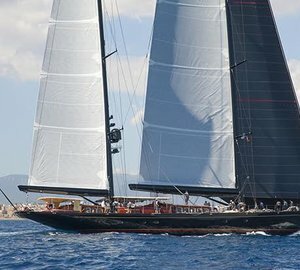 Since 1996 The Superyacht Cup Palma represents the longest running superyacht regatta in Europe and attracts many of the most prestigious sailing yachts from all over the world. 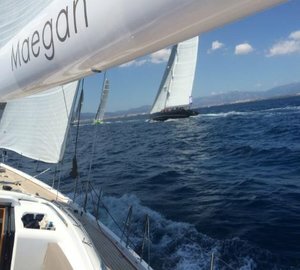 The regatta is a favourite with yacht owners, friends, captains and crew who visit Palma de Mallorca annually for the 4 day regatta. With warm early summer conditions and reliable sea breezes, the Bay of Palma offers some of the most idyllic racing conditions in the Mediterranean. The racing is run by the highly experienced international Race Officers and the team at Real Club Nautico de Palma. 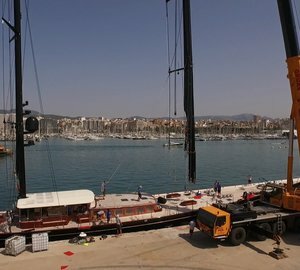 The participating superyachts are all moored together stern-to in the Superyacht Cup Regatta Village located at Muelle Viejo with the iconic Palma Cathedral and Palm tree lined Paseo Maritimo providing a stunning back drop. A five minute walk from the Regatta Village you can find Boutique City Hotels, first class restaurants, the best in international shopping as well as famous architecture, art galleries and historical museums. Palma has something to offer everyone visiting this international yachting event in a vibrant and cosmopolitan City. 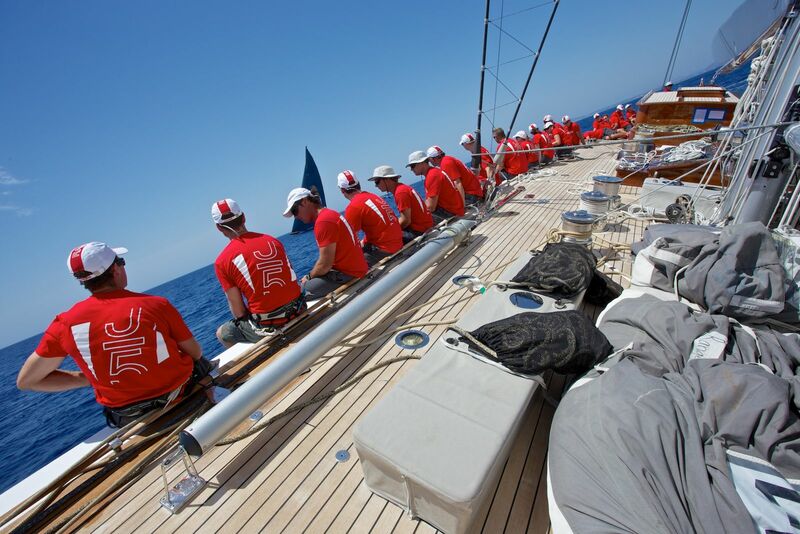 Superyacht Cup Palma is a pursuit luxury yacht race. A pursuit race ultimately allows cruising vessels of different breeds to race against one another in a format in which they all start at the same time from the same starting line. This is a three day event with a unique format. 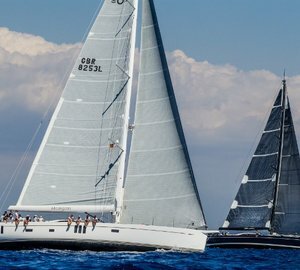 For The Superyacht Cup Palma there is now additionally a new IRC class for the more performance-orientated yachts with a current IRC certificate. On day one the boats line up and the start times are radioed to them. Start times on day one are staggered allowing the slower yachts a head start and the faster yachts start after. All of the yachts run the entire course of the race and then their course times are recorded at the finish line. The object of the race is to get to the finish line first by passing the other yachts. Points are awarded according to the place in which the boat crosses the finish line times 0.1. The first boat will get 1 x 0.1 for 0.1 point; the second boat gets 2 x 0.1 for 0.2 points, and so on. On day two the start times are calculated by the results of day one, and again the boats all line up at the start line and wait for a radioed “Go”. The points are given in the same manner as day one, except the calculation is x 1. So the first boat to cross the finish line would receive 1 x 1 for 1 point, second gets 2 x 1 for 2 points, etc. On day three the start times are calculated by the results of day two and the boats start in the same way as days one and two. The points are higher on day three as they are calculated by x 1.5. First place gets 1 x 1.5 for 1.5 points, second gets 2 x 1.5 for 3 points. At the end of race three, the total points from all three days are added up and the boat with the lowest point value is declared the overall winner of the Cup. 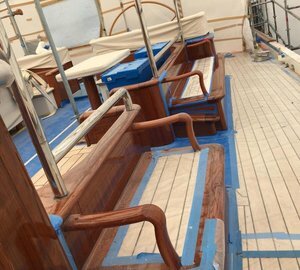 For more information on chartering a yacht for the Superyacht Cup Palma, please contact out brokers here. Below you will find a list of luxury yachts available for charter in SPAIN and on the left the latest news and the dates related to the cup.